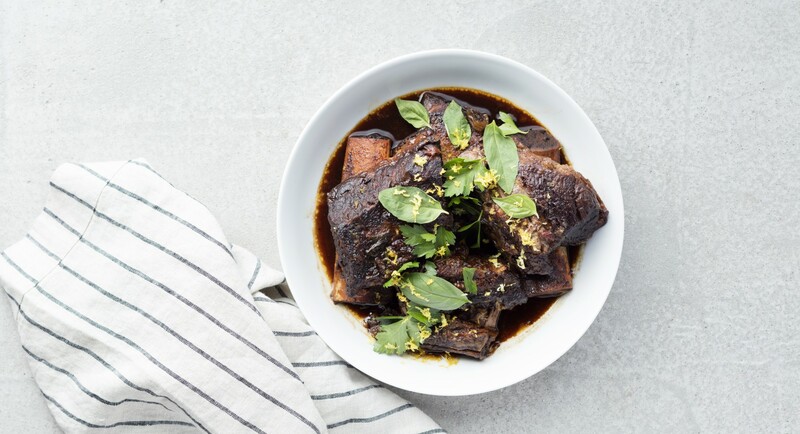 When it comes to short ribs, the goal is tender, juicy meat that falls right off the bone. Well, there’s an easy way to achieve that transcendent, melt-in-your-mouth texture—make it in a slow cooker. Here’s a recipe that’s intensely savory with a bright, fresh finish from lemon zest and basil. Heat oil in a large skillet over medium-high heat. Sprinkle short ribs with salt and pepper and brown well, about 4 minutes per side. Remove from pan and set aside. Add onion and garlic to the pan and sauté for 4 to 5 minutes until golden. Add onion, garlic, and ribs into a slow cooker along with the thyme, rosemary, bay leaves, vinegar, tomatoes, and broth. Cook on low for 8 hours or high for 5 hours, until the beef is tender. To serve, strain the pan juices and skim the fat from the surface. Pour into a saucepan and simmer over high heat until the sauce thickens slightly, about 5 minutes. Serve ribs with sauce spooned over and garnished with basil leaves, lemon zest, and a sprinkle of sea salt flakes. What a Cin……namon Raisin Bread! 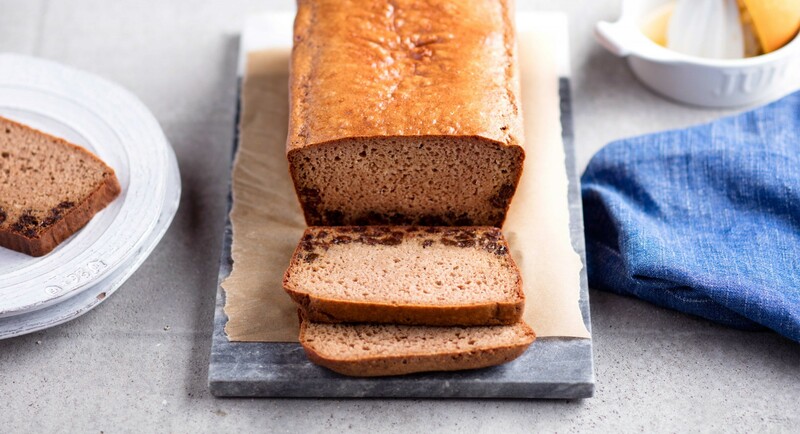 It would definitely be a sin not to try this Paleo Cinnamon Raisin Bread! With no yeast, no proofing, and no kneading required, this recipe for classic cinnamon raisin bread is simple enough for even a novice baker to master. And since it’s made without any grains, it’s gluten-free and Paleo-friendly. Slice it up for sandwiches, toast and top it with almond butter, or enjoy straight out of the oven. Preheat oven to 350 degrees and line loaf pan with parchment paper.In a medium bowl, whisk together almond flour, cinnamon, baking soda, and salt. In the bowl of a stand mixer fitted with the whisk attachment, mix together cashew butter, eggs, and egg whites until smooth. Slowly pour in water, followed by almond flour mixture. Add apple cider vinegar and mix until smooth. Fold in raisins. Pour into prepared loaf pan and bake 45 minutes, or until a toothpick inserted into the center comes out clean. You too can learn to eat like Tom Brady for $200. There’s nothing deflated about the price of Tom Brady’s new cookbook, a playbook for healthy eating. At $200 for the binder full of Brady-approved recipes, the price tag seems a bit up there, don’t you think? But the high cost of the “TB12 Nutrition Manual” hasn’t scared away his loyal fans and in the week since it went on sale on Brady’s TB12 online store; it’s sold out. The pre-order period is currently closed and the site promises the big-bucks book will be available for sale again in early June, just in time for Father’s Day. But still, $200 for a book? Does it come with Tom and supermodel wife Gisele’s private chef? During this off-season, Brady’s hyper-strict diet has gotten publicity after his and his wife’s personal chef, Allen Campbell, revealed their quirky eating habits. The Brady family is super-health conscious and steers clear of all kinds of sinful delicacies. Brady and his Brazilian beauty wife clearly don’t gorge on deep-fried Twinkies and stuffed-crust pizzas. But Brady also doesn’t eat nightshades because they’re not anti-inflammatory. That rules out tomatoes, peppers, mushrooms and eggplant. Campbell only uses coconut oil to cook with. The four-time Super Bowl champion also bans white sugar, flour and MSG from their no-nonsense diets. Also, 80% of the food they consume are vegetables, and they absolutely must be organic. The rest of their diet, according to a Boston.com interview with Campbell, consists of lean meats and fish. Regular old salt is replaced with pink Himalayan salt. “It’s very different than a traditional American diet,” Campbell said. In an interview with GQ, Brady said it’s not a cookbook. Rather, it’s a nutrition manual. Whatever it’s called, we can all agree it’s expensive. But that’s apparently because, like Brady’s diet, it’s made of high-quality materials. The binder is printed on thick 100 pound text paper and the covers are made from natural wood with a laser-etched logo and title. It’s also designed so the pages can be removed or added with the release of new recipes in the future, available free to those who buy the book. Well that might take the air out of your sails. Where would tuna salad be without mayonnaise and relish to hold it together? What’s a burger without that creamy special sauce? Instead of sticking with the conventional, mass-produced stuff made with sugar and unhealthy oils, opt for something better—Primal Kitchen’s Paleo-friendly mayonnaise, made from avocado oil. And don’t just take our word for it—try it for free. Because we’re such big fans of this mayonnaise, we are giving away thousands of full-sized jars of Primal Kitchen avocado oil mayo! Claim yours today! Plus, this avocado oil mayonnaise is incredibly versatile. It’s absolutely delicious in everything from homemade ranch or Caesar dressing, to tuna or chicken salads, to fresh dips and sauces. As a kid growing-up I always detested cauliflower. I always swore that I would never, ever eat it. Well I guess the old adage “never say never” is very apropos as I now love me some cauliflower…especially when it is prepared like this!! 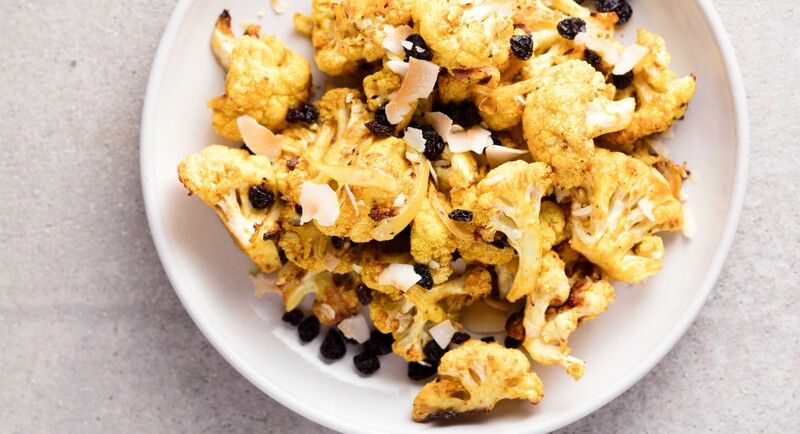 Mild yet hearty, cauliflower is the perfect match for a bold spices like curry and cinnamon. Roasting it with onions allows the edges to caramelize, bringing out a natural sweetness that’s perfectly complemented by raisins and coconut flakes. Since it takes just a few minutes of prep time, this easy side dish will become a regular part of your dinner rotation in no time. In a large bowl, whisk together garlic, curry powder, cinnamon, salt, pepper, lemon juice, and olive oil. Add cauliflower florets and onion and toss to coat. Transfer to two baking sheets and arrange in a single layer. Roast in oven 25 to 30 minutes until crispy and cauliflower brown at the edges. Toss with coconut flakes and raisins. Serve warm or at room temperature. After years of damning evidence about the damage sugar-sweetened sodas do to our bodies, more Americans than ever are finally giving it up. In fact, in the last Gallup “Consumption Habits” poll, 61 percent of respondents said they avoid regular soda—up from 41 percent in 2002. This is a good thing, for sure. But diet soda may be no better—study after study has shown that the zero-calorie substitute comes with its own set of negative health problems. Here are five reasons diet soda may be even worse than you thought. A diet soda habit could impact your unborn child. Just this month, researchers believe they’ve found a connection between women who drink diet soda regularly and the likelihood that their child will be obese down the line. In a study conducted last year and published in the journal Nature, scientists found that the artificial sweeteners in most diet sodas—chemicals like aspartame, sucralose, and saccharine—seem to alter gut bacteria (microbiome) and actually cause blood sugar to rise. That sets off a chain reaction that can lead to weight gain, diabetes, and other health problems. And, since research now shows the importance of gut health to whole-body wellness, having that diet soda probably isn’t worth the havoc it could wreak. It’s time to convince grandpa to kick his Diet Coke habit. According to the results of a longitudinal study published last year in the Journal of the American Geriatric Society, older adults who drank diet soda daily saw their waistlines increase more than 3 inches over nine years—that’s nearly four times more than non-soda-drinkers. Because gaining weight around the belly increases the risk of heart disease and metabolic syndrome, this change comes with some big health risks. This one might come as a surprise. Drinking one diet soda a day was associated with a 36 percent increased risk of metabolic syndrome and diabetes in a 2009 study. Because the sweeteners in most diet soda are actually more intense than regular sugar, drinking them regularly confuses the body and dulls the senses to healthier, naturally sweet flavors found in fruit and other foods. In other words, diet sodas may make you crave sugar even more. Artificial sweeteners can also trigger the release of insulin, leading the body to store fat and potentially causing weight gain. Need one more reason to quit sodas altogether? If you’re drinking one of the major brands, you’re still contributing to the deceptive marketing tactics that attempt to get young people around the world hooked on sugary sodas. This is one of the reasons why the big soda companies aren’t too worried about the decline of consumption in the West: their consumer base in the global East and South is big enough to make up for the amount of people who are quitting on this side of the world. Have your banana and eat it too! Vegan, gluten-free, vegetarian, Paleo. 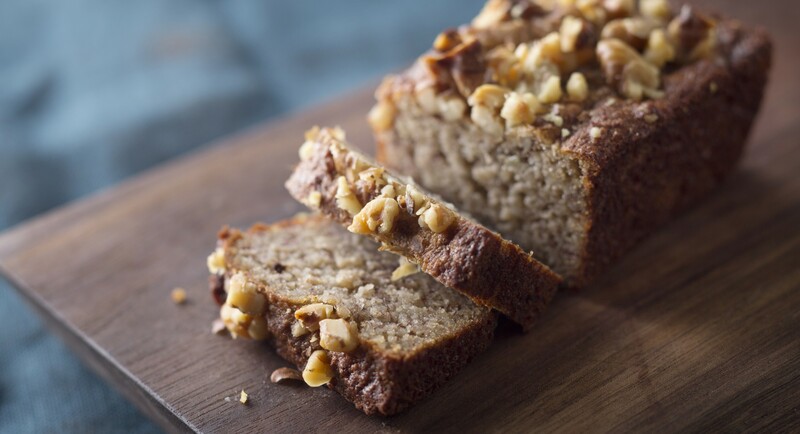 It doesn’t matter what your dietary preference is—fresh-from-the-oven banana bread is always straight up irresistible. It calls for five extra-ripe bananas to really nail down the classic flavor and add natural sweetness and moisture to the batter. For the alternative flour, it was important to choose one that would retain a dense, almost gooey texture even when fully cooked so the loaf dry up and crumbly. Because coconut flour tends to be a little drier, Merce opted for almond flour instead. The recipe also calls for grape-seed oil because it has a slightly more buttery flavor than most cooking oils, but you could also use coconut oil instead.